Let’s meet a cat named Puss. A little girl who was described as “misunderstood” by her owners. Puss liked doing things her way and only coming for cuddles on her terms. But then, isn’t every cat a little like that? 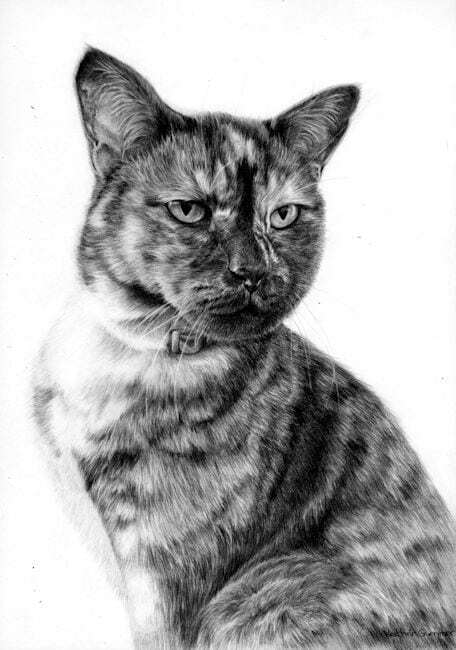 Puss passed away from Lymphoma while her portrait was being drawn. So sad. But her owners found great comfort in her portrait and that gives me some joy too.